Hollywood has made a bunch of movies on gods and their followers revolting against them in the past. It is one of those classic stories that never gets old. Stories about the greek gods are fun to go through anyway. In Fury of the Gods, you get to do more than that. This cool game puts you in control as a god and challenges you to crush your enemies. 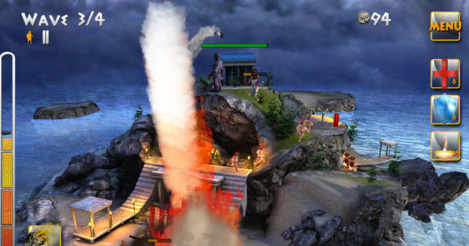 Fury of the Gods is essentially a tower defense game with 3 campaigns for you to choose from. You can play as Zeus, Poseidon, or Hades. 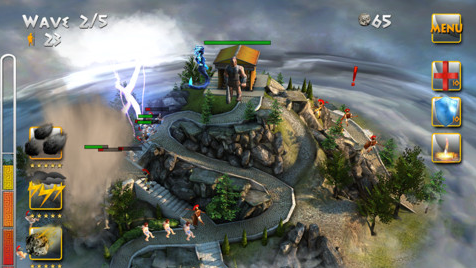 The game’s controls are touch-based and fairly easy to get used to. The visuals are very decent for this type of game. Your goal is to use powers to wipe your enemies off and defend your territory. Fury of the Gods is based on a fun story and easy to get used to. It has optional in-app purchases to enhance your playing experience. The app costs only $0.99 at the time of this writing.